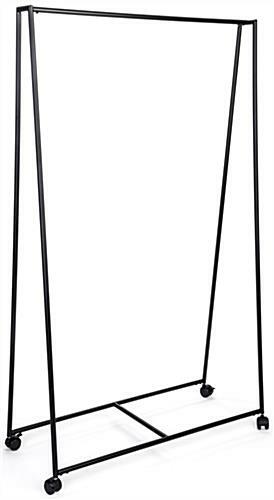 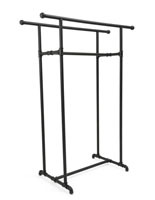 Featuring an industrial and contemporary design, this pipe teepee clothes rack is perfect for any retail setting. 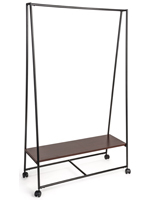 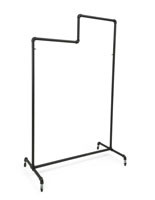 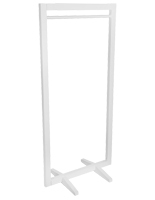 A single metal garment rail stands at 64” high to keep shirts, dresses, or other articles from resting on the ground. 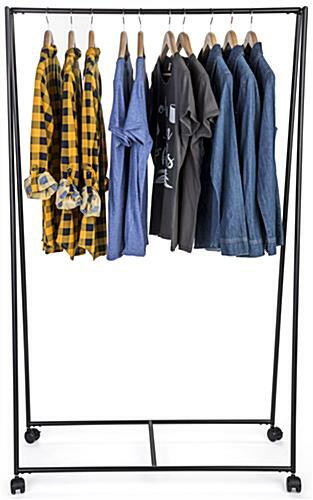 The portable teepee clothes rack comes with four wheels, two of which can lock, as well as four levelers for a more permanent placement. 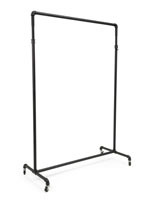 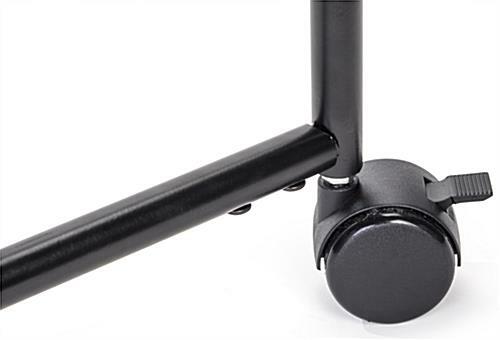 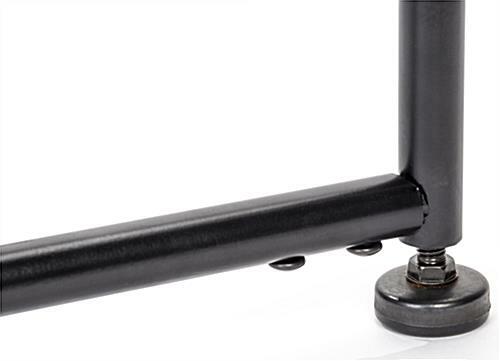 At only 18 lbs, each metal garment rail is lightweight, yet durable enough for everyday use. 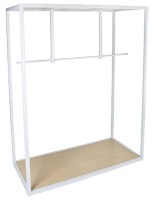 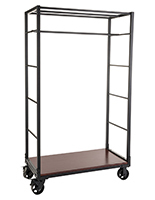 Easy assembly adds additional portability to this floor standing unit making it quick to set up and take down if needed. 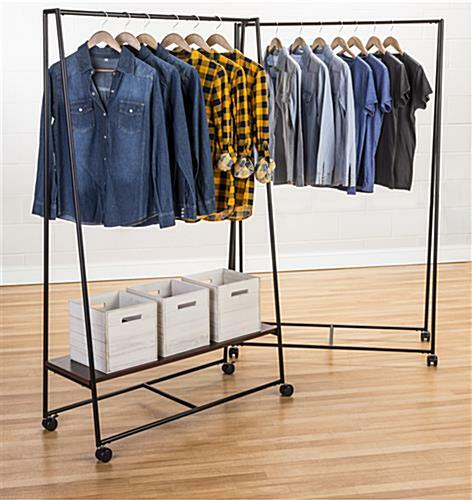 Outfit your boutique, retail store, or even your home with a modern industrial look that comes with this teepee clothes rack. 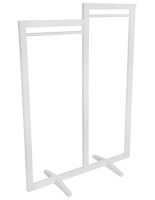 40.0" x 66.5" x 16.0"